2. Go to 'My Account'. 4. 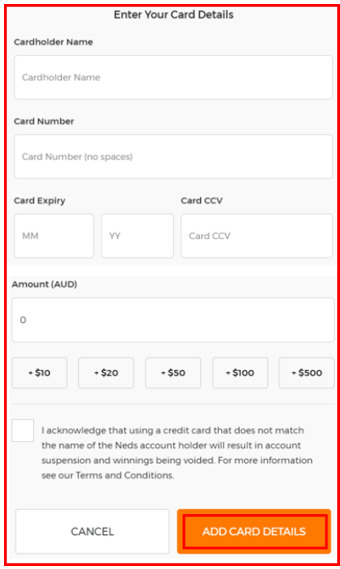 The Credit Card page will display where any Cards are stored. 5. Click 'Add New Card'. 7. Your new Card details will now display as an option for any future deposits.